Book Me! I’d love to speak to your organization. You can get more information here or just e-mail me at ! Many people experience back and pelvic pain in pregnancy. For some this is just a passing phenomenon, a little discomfort that goes along with the hormones of pregnancy relaxing the pelvis and helping it expand for the birth. Some mild back and joint discomfort is common in pregnancy and does not have to be a problem. For others, however, back and joint pain becomes a significant and long-lasting problem that can become debilitating. Some find it difficult to turn over in bed, to get dressed in the morning, to walk any distance, or even to sit comfortably for long. Some are in constant pain from it; a few even end up using a walker or in a wheelchair, unable to walk without aid. Fortunately, chiropractic care is often helpful in these cases. Many pregnant people report pain relief and more mobility with chiropractic care. Yet some are not sure about the wisdom of chiropractic care in pregnancy. Here are some answers to the most common questions about chiropractic care for pregnancy, and help in finding a pregnancy chiropractor for those who want it. While many doctors say that back and pelvis pain is "normal" in pregnancy and there is nothing that can be done to help it, chiropractors do not believe that significant or long-lasting pain is "normal" at all, and they know from experience that much of it can be helped. They believe pain occurs when the spine or pelvis are out of alignment or the muscles and soft tissues around them are unbalanced. This can present as back pain, pain in the buttocks that radiates down the leg (sciatica), pubic symphysis pain in the front of the pelvis, hip pain, tailbone (coccyx) pain, stabbing pains in the abdomen when the mother moves too quickly or sneezes (round ligament spasm), neck pain, difficulty walking, difficulty turning over or lifting one leg, difficulty getting in and out of cars, and sometimes shoulder or rib/side pain. The most basic component of chiropractic care is to make sure the bony passage around the baby (the pelvis) is as open and well-aligned as possible, creating the largest possible space for the baby to move through. Many women who have had cesareans have been told that their "sacrum is too prominent" or "too flat," that their pubic arch is "too flat/narrow," that "there is a bone in the way," or simply that their "pelvis is too small/narrow" for a baby to maneuver through. 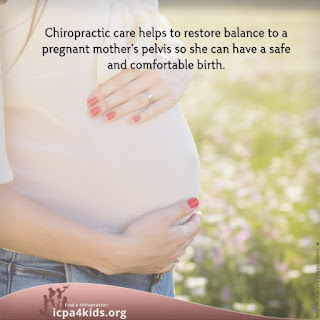 However, after chiropractic care, many of these same women have gone on to give birth to bigger babies than their "stuck" cesarean babies, simply because the pelvic passage is now optimized and the baby has more room. It doesn't seem like such treatment would make much more space, but getting into good alignment can actually make enough difference to maximize the space and help make an easier birth. Chiropractic manipulation seeks to balance the joints of the body in order to normalize nerve function...In restoring joint function, chiropractors are relieving nerve irritation which in turn relaxes muscles and the ligaments of the pelvis and uterus. So, proper nerve function is the goal, not just “cracking” joints. Finally, chiropractors believe that by relieving any misalignments, they will create more space and improve nerve function, lessening the risk for dystocia (slow, unproductive labors) and hopefully resulting in safer, faster, and more effective labors and births. Some people mistakenly think that chiropractors are practicing obstetrics and manually trying to turn babies into position. This is not true. 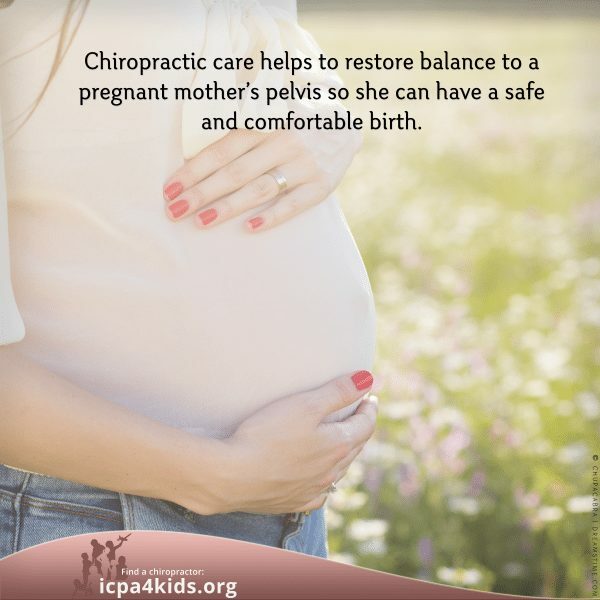 Chiropractors are trying to create conditions to normalize the body's functions so the mother has the best possible chance at an effective labor and birth. But is seeing a chiropractor in pregnancy that helpful? What does the research say? Traditionally, chiropractors have done research differently than mainstream medicine. They have relied more on case reports and case series rather than gold-standard randomized studies. They often didn't use control groups because they were loathe to deny anyone care, especially in pregnancy. Even when mainstream studies were done, sample sizes tended to be small. So there are limits to many studies done in the past. However, there are now a number of studies and reviews using more rigorous methodology that are reassuring. Here is a summary of a few. A 2013 prospective randomized study in pregnant patients with low back and pelvic pain compared usual obstetric care with obstetric care plus additional chiropractic care. It found that those patients who received the additional chiropractic care improved significantly, while those who received just standard obstetric care did not improve at all. A 2014 study found that the improvement from chiropractic care was long lasting. Nearly 90% of study participants were improved a year later. Several other studies (see references below) have also found significant improvement with chiropractic care in pregnancy, with few adverse events. Massage therapy and chiropractic care, including spinal manipulation, are highly safe and effective evidence-based options for pregnant women suffering from mechanical low back and pelvic pain. 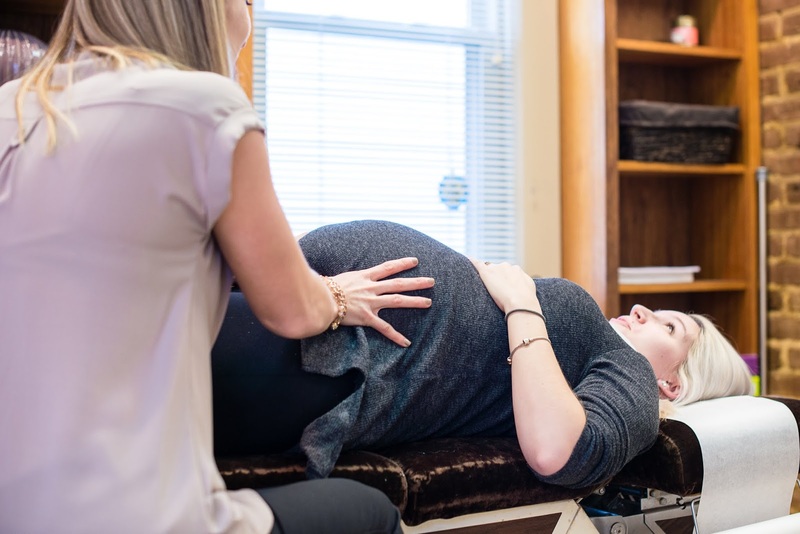 In 2015, the Cochrane Collaboration, a leader in evidence-based care, reviewed a series of studies on alternative care practices in pregnancy like acupuncture, craniosacral therapy, and osteomanipulation (basically chiropractic care). They found the quality of evidence "moderate," and that osteomanipulative therapy did significantly reduce low back and pelvic pain in pregnancy. Furthermore, any adverse events were "minor and transient." It should be noted that no matter what the research says, some people will never be comfortable trying chiropractic care, and that's okay. If chiropractic care is not for you, don't feel pressured into it. Women have been having babies for thousands of years without having chiropractic care. Most will do fine without it. However, if you are having lots of back pain or pelvic pain, you might want to reconsider it. If you are still not sure, you might try exploring the possibility further without committing to it. Ask local midwives and doulas for recommendations of good pregnancy chiropractors, then call and ask if you can do a non-treatment consult about your case. Find out how the chiropractor makes room for the pregnancy belly during treatment and the techniques they might use. See if you can observe treatment during an appointment (if the patient gives permission). Often this is enough to reassure people that chiropractic care in pregnancy is reasonable and safe. However, whatever you decide, remember that it's always your choice. If you do decide to see a chiropractor in pregnancy, one common question is when to start seeing them and how often. Unfortunately, there is no simple answer to this. The answer totally varies from woman to woman, depending on each person's unique needs. Ideally, people would start seeing a chiropractor before or between pregnancies so that any serious issues can be taken care of before the hormones of pregnancy start softening and loosening the ligaments, making it hard to maintain chiropractic adjustments. The more serious a person's issues, the smarter it would be to start care before pregnancy instead of waiting till after they are pregnant. However, many people only start experiencing significant pain once they are already pregnant. Others may have limits on the amount of chiropractic visits that are covered under their insurance, or they have no chiropractic coverage and must pay cash. Therefore, many want to try and maximize the benefit of the visits by timing them carefully, and that may mean limiting them to pregnancy only, or even to the last third of pregnancy only. The problem is that no two people's problems are alike, and there is no one prescription that fits all everyone's needs. The loosening hormones of pregnancy increase as pregnancy progresses, so generally speaking it's better to start treatment sooner than later. However, if you have only a few visits that are covered by insurance or you have limited ability to pay for them out-of-pocket, then you may want to save your visits for the third trimester. However, if you do this and you have really significant alignment issues, you also run the risk of not getting enough treatment to really fix the problem in time. So there is no one answer for every woman. It really depends on the unique circumstances of your particular situation. If you are in a significant amount of discomfort, that usually indicates a problem that should be addressed sooner than later. Generally speaking, chiropractors prefer to see women before they become pregnant to start resolving any long-standing misalignment issues. Once you become pregnant, most chiropractors want to see you on the same approximate schedule that a doctor or midwife sees you, which is about once a month in the first 2 trimesters, bi-weekly in weeks 32-36, and every week after 36 weeks until the baby is born. Now obviously, that's the ideal schedule. A lot depends on what's happening with the body. If a pregnant woman comes in as a new patient and has a lot of major alignment issues going on, most chiropractors are going to want to see her weekly (or more) until her alignment issues are better, and then they will go back to the standard schedule noted above. Other women may not need to be seen even every month. If the chiropractor finds that there is nothing to adjust, then he/she should send you home and elongate the time between visits. Some lucky women find that their pain goes away after a couple of chiropractic treatments and then they're done and never need to go back. On the other hand, some women need to visit more often than weekly. When treatment is first initiated, frequent visits are important to start retraining the body's muscles and ligaments to "remember" the new alignment consistently. So there may be a flurry of frequent visits in the beginning that slowly space out farther and farther as the woman's body adapts to the new patterns, and then visit frequency comes and goes, depending on the woman's needs. In women with a history of major alignment issues, it's not unusual for the woman to go back to seeing the chiropractor very frequently near the end of pregnancy because the ligaments are so loose by then that it's difficult to maintain any adjustments. It all depends on the needs of the woman and her comfort levels. However, a chiropractor should not force you to buy a pre-packaged bundle of "x" amount of visits for "x" cost. 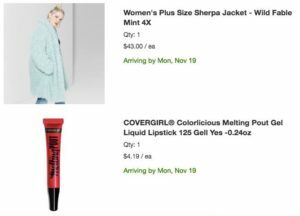 Some doctors offer this as a way for patients to save money, but the package should be flexible so that if you didn't end up needing "x" amounts of visits, you wouldn't have to have them. Furthermore, a pre-defined schedule of visits cannot anticipate what your body will need and how it responds to treatment; for some people more frequent visits might be needed, while others may need much less. A "one size fits all" package is a sign you should seek out a different chiropractor instead. Unfortunately, there are bad chiropractors/quacks out there, just as there are quack doctors. Because of this, some people reject all chiropractors altogether. But the reasonable response to quack doctors is not to ignore all medical advice and shun all doctors, but instead to find a better, reputable doctor, one whose treatment philosophy and methods align with your preferences. The same goes for chiropractors. If you find a bad one, don't be afraid to leave and try another one. Get recommendations from other mothers or childbirth professionals to help guide you to the more reputable and helpful practitioners. Also, there are many different styles of chiropractic care and ways to adjust people. If you don't like one style, keep trying till you find a chiropractor that uses techniques you are comfortable with and seems to "get" your particular body needs. Listen to your instincts; if your intuition is saying that a particular chiropractor is not for you, then find a new one. Fortunately, most chiropractors are legitimate professionals and are not just out to make a quick buck. They should evaluate your condition, suggest a plan of care, and then keep re-evaluating your need for visits based on how well you respond to treatments. Their care plan should be dynamic and changing in response to your own needs and comfort. In short, there is no one pattern of visits that you "should" follow. Ideally, you should try to start chiropractic care before pregnancy, and then in pregnancy see the chiropractor monthly, then bi-weekly, then weekly in the last month. However, this schedule is not set in stone and should be adjusted to the unique needs of each person. In other words, chiropractic care during pregnancy may help pregnancy be more comfortable, and hopefully help labor and birth be easier for mother and baby. Although further research is needed, the research we have so far suggests that chiropractic care in pregnancy can be very helpful for low back and pelvic pain. "...There was moderate-quality evidence...from individual studies suggesting that osteomanipulative therapy significantly reduced low-back pain and functional disability, and acupuncture or craniosacral therapy improved pelvic pain more than usual prenatal care. Evidence from individual studies was largely of low quality (study design limitations, imprecision), and suggested that pain and functional disability, but not sick leave, were significantly reduced following a multi-modal intervention (manual therapy, exercise and education) for low-back and pelvic pain.When reported, adverse effects were minor and transient." ...We examined whether a multimodal approach of musculoskeletal and obstetric management (MOM) was superior to standard obstetric care to reduce pain, impairment, and disability in the antepartum period. STUDY DESIGN: A prospective, randomized trial of 169 women was conducted. Baseline evaluation occurred at 24-28 weeks' gestation, with follow-up at 33 weeks' gestation.... Both groups received routine obstetric care. Chiropractic specialists provided manual therapy, stabilization exercises, and patient education to MOM participants. RESULTS: The MOM group demonstrated significant mean reductions in Numerical Rating Scale scores (5.8 ± 2.2 vs 2.9 ± 2.5; P < .001) and Quebec Disability Questionnaire scores (4.9 ± 2.2 vs 3.9 ± 2.4; P < .001) from baseline to follow-up evaluation. The group that received standard obstetric care demonstrated no significant improvements. CONCLUSION: A multimodal approach to low back and pelvic pain in mid pregnancy benefits patients more than standard obstetric care. ...RESULTS: 52% of 115 recruited patients 'improved' at 1 week, 70% at 1 month, 85% at 3 months, 90% at 6 months and 88% at 1 year...CONCLUSIONS: Most pregnant patients undergoing chiropractic treatment reported clinically relevant improvement at all time points. No single variable was strongly predictive of 'improvement' in the logistic regression model. ...This retrospective case series was undertaken to describe the results of a group of pregnant women with low back pain who underwent chiropractic treatment including spinal manipulation. Seventeen cases met all inclusion criteria. The overall group average Numerical Rating Scale pain score decreased from 5.9 (range 2-10) at initial presentation to 1.5 (range 0-5) at termination of care. Sixteen of 17 (94.1%) cases demonstrated clinically important improvement. The average time to initial clinically important pain relief was 4.5 (range 0-13) days after initial presentation, and the average number of visits undergone up to that point was 1.8 (range 1-5). No adverse effects were reported in any of the 17 cases. The results suggest that chiropractic treatment was safe in these cases and support the hypothesis that it may be effective for reducing pain intensity. ...A pregnant 35-year-old woman experienced insidious moderate to severe pregnancy-related lumbopelvic pain and leg pain at 32 weeks' gestation. Pain limited her endurance capacity for walking and sitting. Clinical testing revealed a left sacroiliac joint functional disturbance and myofascial trigger points reproducing back and leg pain...The patient was treated with chiropractic spinal manipulation, soft tissue therapy, exercises, and ergonomic advice in 13 visits over 6 weeks. She consulted her obstetrician for her weekly obstetric visits. At the end of treatment, her low back pain reduced from 7 to 2 on a 0-10 numeric pain scale rating. Functional activities reported such as walking, sitting, and traveling comfortably in a car had improved. CONCLUSION: This patient with pregnancy-related lumbopelvic pain improved in pain and function after chiropractic treatment and usual obstetric management. OBJECTIVE: To systematically review studies of the effectiveness and harms of SMT for acute (≤6 weeks) low back pain...Among patients with acute low back pain, spinal manipulative therapy was associated with modest improvements in pain and function at up to 6 weeks, with transient minor musculoskeletal harms. However, heterogeneity in study results was large. CONCLUSIONS: There are only a few reported cases of adverse events following spinal manipulation during pregnancy and the postpartum period identified in the literature. While improved reporting of such events is required in the future, it may be that such injuries are relatively rare. ...As pregnant women move into their second and third trimesters, their centres of mass shift anteriorly, causing an increase in lumbar lordosis, which causes low back and pelvic girdle pain. Increasing recent evidence attests to the effectiveness and safety of treating this pain using manual therapy. Massage therapy and chiropractic care, including spinal manipulation, are highly safe and effective evidence-based options for pregnant women suffering from mechanical low back and pelvic pain. USA Today has released a video suggesting that people should “discreetly” take photos of fat people seated next to them on planes, and post them on social media if they don’t get the desired result from their initial complaint to the airline. This is a problem on more than one level. First, the idea that we can all be thin is a total myth based on all the research that exists. While most people can lose weight short term, almost everyone gains back their weight with the majority gaining back more than they lost within a few years. There isn’t a single study where more than a tiny fraction of people have managed to maintain a significant amount of weight loss long term. Which is to say that, other than the possibility of short periods of being thinner, most fat people will always be fat. Fat people exist, have always existed, will always exist and so the world should accept this and accommodate us, rather than simply hoping that we will someone cease to exist. People come in lots of sizes and ignoring that basic fact shouldn’t be a profit center or reason for discrimination. It literally doesn’t matter if we could be thin someday, there are fat people who need to fly today – for work, for weddings, for funerals, for all the same reasons that thin people fly, and we deserve to be accommodated in our actual bodies. Airlines should not be the arbiters of what size humans who travel are allowed to be in order to get the same service (in this case travel from point A to point B in a seat that accommodates us) for the same price. A recent study once again reinforces the message that the more cesareans are done, the higher the risk for complications. In previous posts, we have mostly discussed cesarean risks in terms of future pregnancies. We have written about Placenta Accreta Spectrum several times here already. This is where the placenta implants too deeply into the uterus. This is a life-threatening potential complication of pregnancies after cesareans, and the risk goes up with the number of prior cesareans. However, the risks with multiple cesareans aren't limited only to future pregnancies. Injuries to organs around the area are serious because they usually involve the bladder or intestines. The more abdominal surgery someone has, the greater the risk for adhesions, scar tissue that can cause internal organs to stick together. This can make it difficult to operate in the area without causing collateral damage to organs nearby. If organ injury occurs, it can have lifelong consequences for the mother's urinary and/or G.I. system. Even if organ injury does not occur, adhesions alone can cause significant pain. For some people, it causes life-long severe pain. Obviously, the risk for major bleeding increases with surgery. 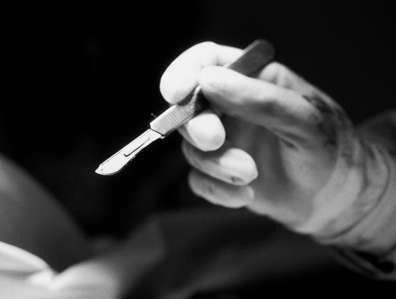 Each successive surgery takes longer because of the scar tissue, and that increases the risk of hemorrhage even more. Some women need blood transfusions during or after the surgery. Many suffer problems with anemia, which can affect milk supply. Those with very severe hemorrhages may even experience Sheehan's Syndrome, life-long endocrinological problems because severe bleeding affected the pituitary gland. The risk for completely losing your uterus (hysterectomy) also increases with more cesareans. This is usually due to cases of accreta or in response to severe bleeding. The placenta cannot detach properly with accreta, or the uterus doesn't clamp down properly during surgery and the bleeding can't be stopped. Often the only way to keep the mother alive may be to take her uterus out, forever altering her fertility. . In addition, surgical site complications increase with each surgery. These can include infections, which can go septic and spread to the entire body. Although rare, some women die due to infections after cesareans. Others lose their uterus. Other surgical complications include seromas and hematomas (pockets of fluid or blood around the wound), and the surgical wound not healing (dehiscence). While these can be treated, they often cause long-term wounds and a painful recovery. They complicate recovery and make mothering difficult. Sometimes when cesareans are questioned, people get all defensive. Mothers who had their babies by cesarean may feel like they are being judged or that some may think them less of a mother because of their cesarean. Doctors may feel defensive and point out the many times that cesareans have saved lives. All of the potential complications of cesareans need to be taken more seriously and cesareans used only when truly necessary. Cesareans are not evil. They can be a wonderful, life-saving intervention, and no one should feel like less of a mother because they had a cesarean. However, cesareans do carry risk. When overused or done without need, they can cause severe problems and even death, especially when multiple repeat cesareans are being done. ...according to the CDC, the rate at which women are suffering nearly fatal experiences in childbirth has risen faster than the rate at which they're dying. Based on the rate per 10,000 deliveries, serious complications more than doubled from 1993 to 2014, driven largely by a fivefold rise in blood transfusions. That also includes a nearly 60 percent rise in emergency hysterectomies — removal of the uterus and sometimes other reproductive organs, often to stem massive bleeding or infection. In 2014 alone, more than 4,000 women had emergency hysterectomies, rendering them permanently unable to carry a child. The rate of new mothers requiring breathing tubes increased by 75 percent, as did the rate of those treated for sepsis, a life-threatening inflammatory response to infection that can damage tissues and organs. ...more than 135 expectant and new mothers a day — or roughly 50,000 a year, according to the Centers for Disease Control and Prevention — endure dangerous and even life-threatening complications that often leave them wounded, weakened, traumatized, financially devastated, unable to bear more children, or searching in vain for answers about what went wrong. Only about one-third of U.S. C-sections are medically justified, according to [Eugene] DeClercq, the Boston University maternal health expert. A web of factors explains the rest, including hospital culture (C-section rates vary widely from one institution to the next); efforts to make childbirth more convenient (C-sections can be scheduled); and indirect financial incentives. Because C-sections normally take much less time than vaginal deliveries, they are more cost-effective for hospitals and providers. Additionally, several studies point to the influence of "defensive medicine," a term for doctors' fears of being blamed by their patients for not having done everything possible to avoid medical problems. The culture of cesareans is strong in many hospitals, and as a result many unnecessary cesareans are being done. And once a woman has had a cesarean, she is often pressured into further cesareans by doctors who say Vaginal Birth After Cesarean (VBAC) is "too risky." But the fact is that multiple repeat cesareans are not risk-free either. Both VBAC and Repeat Cesarean have risks to mother and baby that must be carefully weighed. It should be up to the mother to decide which choice to pursue. Research is clear that taken as a group, cesareans are not risk-free and should not be taken lightly or done routinely. OBJECTIVE: To estimate the risk of perioperative morbidity with increasing number of cesareans. STUDY DESIGN: We conducted a retrospective cohort study from 2004 to 2010. Patients delivered by cesarean were included. Outcome measures were a composite organ injury (bowel or bladder), hysterectomy, hemorrhage requiring transfusion, severe morbidity, or surgical site complications... RESULTS: Of the 15,872 women in the cohort, 5,144 had cesarean delivery: 3,113 primary, 1,310 one prior, 510 two prior, and 211 three or more prior cesareans. There was a significant increase in organ injury, hysterectomy, and surgical site complications with increasing number of cesareans. In multivariable analysis, the risk of organ injury and hysterectomy was increased compared with primary cesarean after two prior cesareans, and after three or more cesareans for hemorrhage requiring transfusion and surgical site complications. CONCLUSION: The risks of organ injury and hysterectomy are increased after two or more prior cesareans, and risks of hemorrhage and surgical site complications are increased after three or more cesareans. PURPOSE OF INVESTIGATION: We investigated the effect of repeat cesarean sections (CSs) and intra-abdominal adhesions on neonatal and maternal morbidity. MATERIALS AND METHODS: We analyzed intra-abdominal adhesions of 672 patients. RESULTS: Among the patients, 173, 206, 151, and 142 underwent CS for the first, second, third, and fourth time or more, respectively. There were adhesions in 393 (58.5 %) patients. Among first CSs, there were no adhesions, the rate of maternal morbidity [Morales et al. (Am J Obstet Gynecol 196(5):461, 2007)] was 26 %, and the rate of neonatal morbidity (NM) was 35 %. Among women who have history of two CSs, the adhesion rate was 66.3 %, the adhesion score was 2.05, MM was 14 %, and NM was 21 %. Among third CSs, these values were 82.1, 2.82, 23, and 14 %, respectively. Among women who have history of four or more CSs, these values were 92.2, 4.72, 31.7, and 18 %, respectively. Adhesion sites and dense fibrous adhesions increased parallel to the number of subsequent CSs. Increased adhesion score was associated with 1.175-fold higher odds of NM and 1.29-fold higher odds of MM. The rate of NM was eightfold higher in emergency-delivered newborns (emergency: 39.4, 40 %; elective: 4.9 %). MM was 20 and 26 % for elective and emergency CSs, respectively. CONCLUSIONS: Emergency operations and adhesions increased complications. https://www.npr.org/2017/12/22/572298802/nearly-dying-in-childbirth-why-preventable-complications-are-growing-in-u-s - National Public Radio article on near-misses and serious maternal morbidity, one in an excellent series of articles about maternal mortality in the U.S.